For Barron Story's class, in which we had to design six characters based on different aspects of our own personality, set in the same universe. 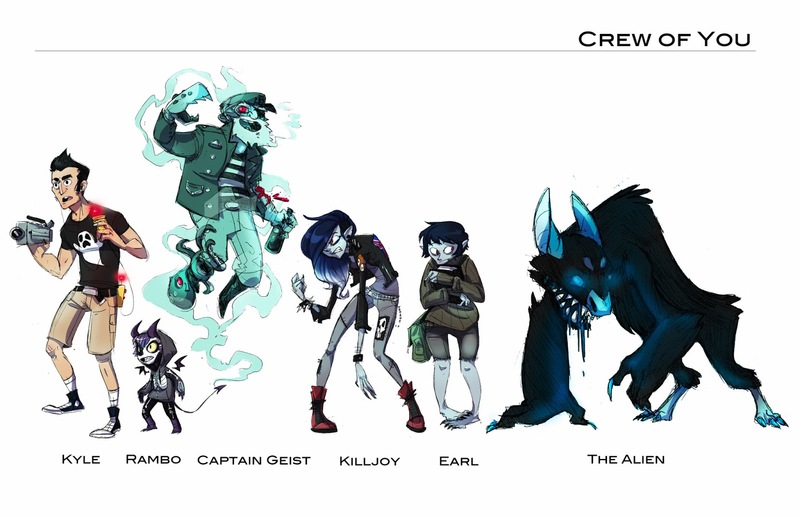 Here is my rag-tag crew of Kyle, the amateur ghost hunter, and a rouges gallery of different monsters. And my final illustration! Sketched in pencil, inked with a pentel pocket brush and sakura micron pens, colored in photoshop. Between designing the cast and completing the final image, we got to spend a few classes getting to know our characters and the world they live in. First we spent a class building characters out of clay, and second we built dioramas of our set designs and used multiple flashlights and gels to create a lighting concept. It's amazing how much lighting did for my little box set! 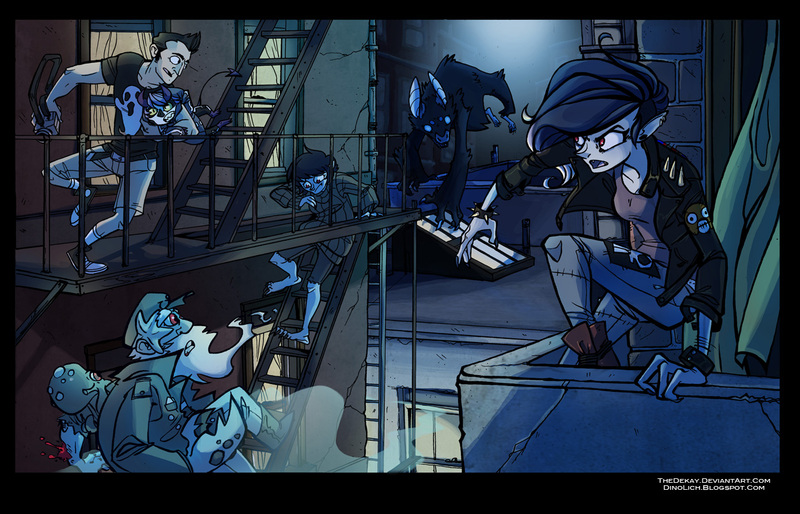 And for funzies, I put together a couple work in progress shots of the final image.